Videos, examples, solutions, and lessons to help Grade 4 students learn to draw points, lines, line segments, rays, angles (right, acute, obtuse), and perpendicular and parallel lines. Identify these in two-dimensional figures. I can identify and draw an example of point, line, line segment, ray, angle, parallel lines, and perpendicular lines. 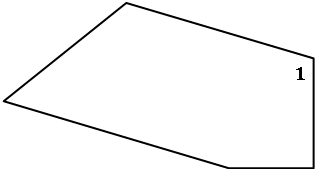 Difference between lines, line segments, and rays. A short explanation of line segments, lines, and rays, their labels, and the differences between them. In this video, students learn to identify acute, obtuse, straight and right angles. This video relates to Common Core Standard 4.G.1. Students learn to identify right angles and straight angles as a point of reference and identify acute and obtuse angles using their definition. The difference between acute, obtuse and right angles. Parallel sides are always the same distance apart and/or that parallel sides will never intersect if extended. The following activities are obtained from the Howard County Public School System. Look at the figures to the right. In each figure, highlight one pair of parallel sides. Kelly is having trouble identifying whether two sides in a shape are parallel to each other. Explain how Kelly can decide if two sides in a figure are parallel. Look at the pentagon below. Highlight two sides on the figure that are perpendicular. angle acute, obtuse, or right?